Some king penguins travel all the way into the pack-ice zone of Antarctica to feed during winter. In a straight line that is over 1000 km from their island! During the 19th century sealing period, seals at Heard Island were hunted commercially for their oil and fur. Sealing at Heard Island ended in the late 1800s, when populations had been hunted to near-extinction. Since then seal numbers at Heard Island have increased. In particular, the population of Antarctic fur seals is increasing rapidly. 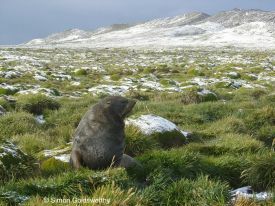 Three species of seal breed on Heard Island, southern elephant seals (Mirounga leonina), Antarctic fur seal (Arctocephalus gazella) and subantarctic fur seals (Arctocephalus tropicalis). They spend the winter months of each year at sea foraging before coming ashore to pup and moult. Leopard seals are common visitors to Heard Island, especially during winter, however they do not breed on the island. Three other species (Weddell, crabeater and Ross seals) have been sighted at Heard Island. Heard Island seals are known to take a variety of prey which, depending on the species, can include a combination of fish, squid and krill. Each species of seal found at Heard Island are listed under the Environment Protection and Biodiversity Conservation Act 1999 as marine species. The subantarctic fur seal and southern elephant seal are also listed threatened species (vulnerable). 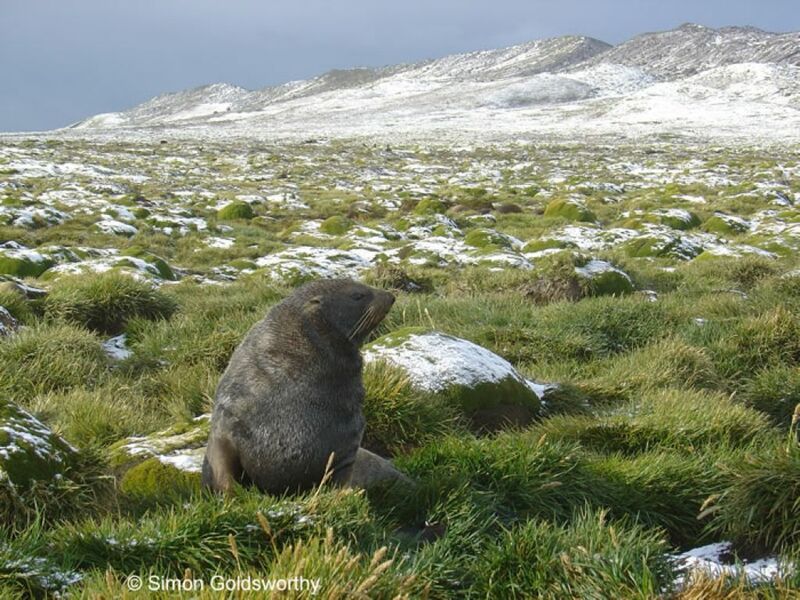 A Recovery Plan for Subantarctic Fur Seals and Southern Elephant Seals has been prepared, which calls for ongoing population monitoring of those species at HIMI. There is also an Action Plan for Australian Seals. The Protection page in the Nature section has a table showing the conservation status of each of the HIMI seal species. This page was last modified on 28 February 2005.